At Vivid Promotional Products Australia we pride ourselves on quality promotional products and merchandise with superior branding at affordable prices. For over 6 years Vivid Promotions has been supplying thousands of businesses and clients all over Australia with branded promotional products and will continue to offer fantastic customer service and printed promotional products for a long while yet. Here at Vivid Promotions we understand that the quality of customer service often seals the deal with majority of our clients, therefore we have qualified sales consultants with years of experience within the industry to help you make beneficial advertising decisions for your business and promotional events. Making sure that the promotional products you choose to convey your company's message or slogan is imperative and with over 11,000 printed promotional products to choose from our aim is to have you feeling confident that you have purchased the best promotional product possible. Sales and Customer Service: Professional customer service is a vital part of the promotional industry and our sales team at Vivid Promotions offers personalized service with a smile. Vivid Promotions Australia acknowledges the importance of good customer service which keeps our clients coming back time and time again. 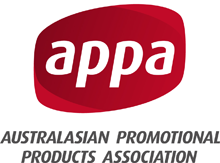 Promotional Product collection: With the largest range of promotional products in Australia it is no wonder our clients always find the perfect advertising products for their promotion or event. With over 11,000 Printed Promotional Products to choose from, Vivid Promotions is sure to have all of your promotional needs covered. Vivid Promotions has a selection of Custom Made promotional products, Stock promotional products and Indent promotional Products to suit all lead times and budgets. Our most popular promotional products include Promotional Stubby Holders, Promotional Uniforms and Apparel, Promotional Mugs, Promotional Pens, Promotional Keyrings, Promotional Lip Balms, Promotional Bags, Promotional Note Pads and Promotional Sunscreen. Printing your Promotional Products: Branding your promotional products is one of the most cost effective and long-lasting ways of getting your brand out there. Custom Printing your company logo directly onto the promotional product or product packaging is the perfect way to stand out and be noticed. Vivid Promotions offers a number of different printing options such as pad printing, Screen Printing, Digital Labels, Embroidery, and Engraving. Our aim is to provide you with the best printing method for your promotional product. Printed Caps, Branded Tote Bags, Custom labeled Zinc Sticks, Engraved Key Chains, Embroidered Towels and laser engraved Akubra Hats are just a few possibilities on offer. Pricing Information: Promotional Product Pricing is the biggest influence on our clients end decisions and as a result, Vivid Promotional Products Australia has a collection of promotional products to suit all budgets. Cheap promotional products do not mean less quality. Branded Promotional Products such as promotional Coasters, Promotional pencils, Promotional Wrist Bands and Promotional Tattoos are all low cost products which are just as effective as the more expensive promotional products. Vivid Promotions has a selection of higher class promotional products such as gourmet gifts, Premium Pens, Camping Chairs, Digital Photo Frames and Watches. With a diverse range in pricing Vivid Promotions Australia caters for all business types. Lead times and Production: Promotional product lead times can vary depending on the product and the unit quantity ordered. For a unique promotional product, Custom made promotional products can be made to order to your specifications. Majority of our Stock Products are kept in bulk loads in our warehouse and can be dispatched within a week. Indent Promotional Products can take a little bit longer depending on whether they are Air or Sea freighted into the country. Vivid Promotions Australia now has a rush order range with over 100 printed promotional products being able to be dispatched within 2 working days! Deadlines can now be met with ease with our Rush Order Collection. With our Vivid imagination, Vivid Promotional Products Australia is sure to make your next event one to remember. Contact our friendly sales staff today to arrange the perfect promotional products for your business.